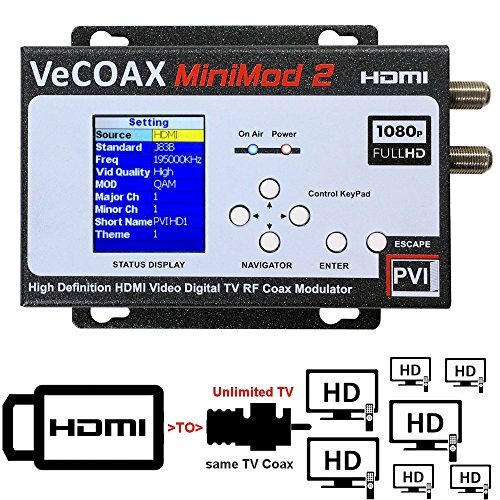 A modulator for the times, this compact device allows connection of an audio/video component, especially a TV that's not equipped with an audio video jack. It's ideal for DVD players, gaming, digital cameras or camcorders and mounts easily to a wall. No flipping through the remote as this component automatically switches when it detects an incoming video source. Maybe at some certain occasion you need to change the HDMI signals from DVD/Set-top box Into RF signals. 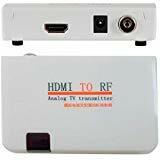 Your PC/DVD/Set-top box with HDMI can play on old TV that without HDMI.You can also demonstrate your multimedia documents from your laptop to your audience through a large screen Typrojector, RF converter can can easily help you to realize the conversion of HDMI signals into RF signals. 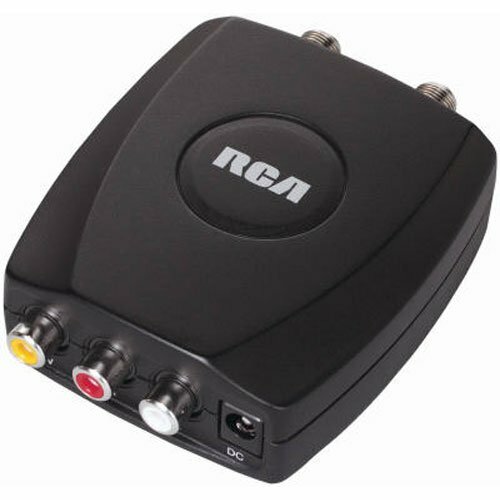 1,With the RF cable in package ,to connect RF OUT interface and TV tuner antenna-in ,and connect the power adapter,turn on then red light on; Connect this converter to HDMI source. 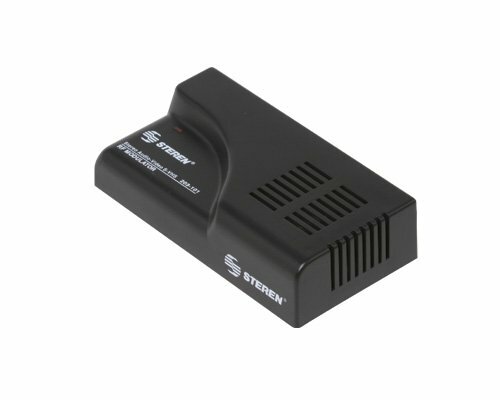 3, HDMI signal into the state of green light.The TV will display the signal of the computer or other HDMI output devices.lf the TV noise, use our product with the remote control by the "SYS"key to adjust sound system ,if converter's sound system are match with TV,the sound is clear. Indicator light, power on and HDMI no signal into the state of red light; HDMI signal into the green light. Attention:How to Use it:The output TV/RF signal frequency is 61.25MHZ.Please use your TV's search channel function to get the signal,then press "SYS" to adjust the format(PAL OR NTSC) to corresponding to your TV until get clear picture and sound.Please take the plastic film out off the remote control before use. Before you buy it,please check your TV supported formats to see if it supports one of this TV formats:PAL BG/PAL l/PAL DK/NTSC M.This converter only output this formats. Note:Output picture quality will be lower to RF analog signal(more like 480p).With remote control, you can adjust the output screen up and down and amplitude,adjustable brightness, contrast, chroma. Cost effective way to display your DVD/Game/Set-top box on regular or older televisions.Long distance signal transmission can be carried out by the coaxial cable. 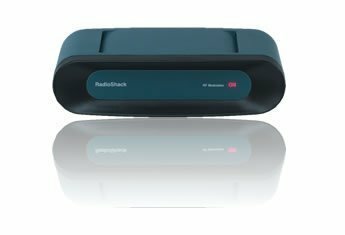 This device does NOT work in the reverse direction.Support input HDMI resolution :480I/480P/576I/576P/720P /720I /1080I/1080P. Deluxe Digital Modulator by ASKA. 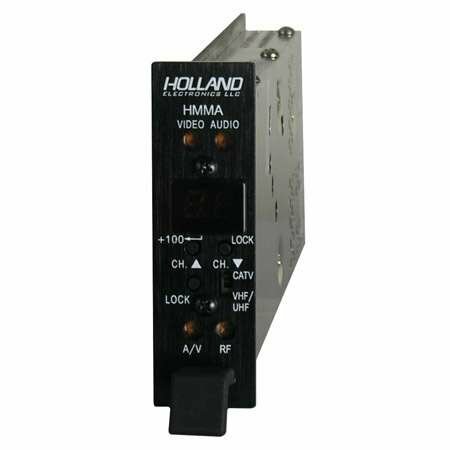 The HMMA is a high quality SAW filtered frequency agile modulator designed to meet high CATV performance standards. The small modulator is 1" wide for an easy fit into one slot of our Mini Modular Head-End System. An RF modulator (or radio frequency modulator) is a device that takes a baseband input signal and outputs a radio frequency-modulated signal. This is often a preliminary step in transmitting signals, either across open air via an antenna or transmission to another device such as a television. The data must be modulated, or conditioned, to the format that the television expects. Please use the channel search of TV to get the signal, then press "SYS" to switch PAL / NTSC to match your TV signal until the picture and sound of tv are clear . Please check your TV supported formats before placing an order because this converter only output PAL-BG, PAL-l,PAL-DK and NTSC-M these four TV formats,if your TV does NOT support one of these 4,the converter will not work! This is HDMI to RF coaxial Converter,it does NOT work under the reverse direction,please don't use it to convert RF signal into HDMI signal! Please take the plastic film out off the remote control before use. 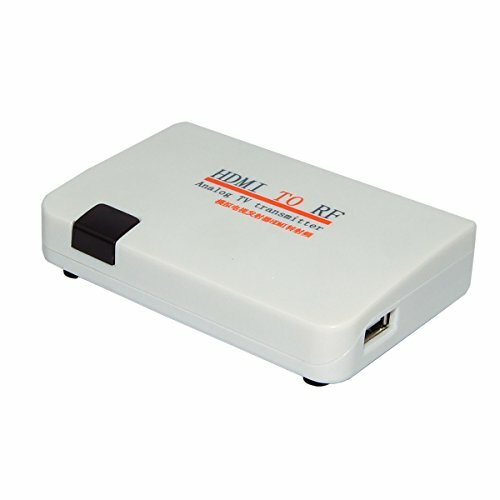 HDMI to RF Coaxial Convertor Adaptor for TV - Convert HDMI digital signal to RF Analogo signal , display your DVD / Blu-ray player , game consoles , Set-top box or PC computer etc. hdmi source devices on regular old televisions which come with coax analog signal output or demonstrate your multimedia documents from your laptop to your audience through a large screen projector . HDMI RF Signal Transmitter - HDMI in coaxial out , Long distance signal transmission can be carried out by the coax cable different room use . RF Coax Converter - Output analog signal only and picture quality will be lower to RF analog signal (more like 480p) ; NOT for ATSC format ! HDMI RF Modulator with Remote Controller - You can switch the output screen up and down and amplitude , brightness , contrast and chroma with the remote control . Note : Please check your TV supported formats before placing an order because this converter only output PAL-BG , PAL-l , PAL-DK and NTSC-M these four TV formats, if your TV does NOT support one of these 4 , the converter will not work ! And this device does NOT work in the reverse direction ; Supports input HDMI resolution :480I/480P/576I/576P/720P /720I /1080I/1080P. The MM70S Stereo Modulator converts composite video and stereo audio to an MTS Stereo television signal. The selectable channel is viewed with a standard television (SDTV) tuner. 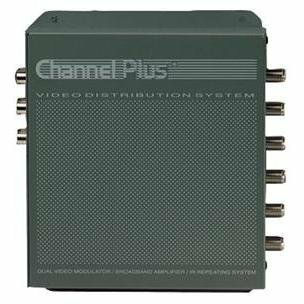 Once modulated, the signal is no longer bound to a single monitor or TV; it can be combined with antenna, cable, or satellite signals for distribution to multiple TV's throughout the location. 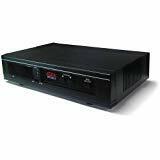 This provides convenient viewing access to security cameras, DVR's, or other audio/video (A/V) sources such as DVD's and VCR's. 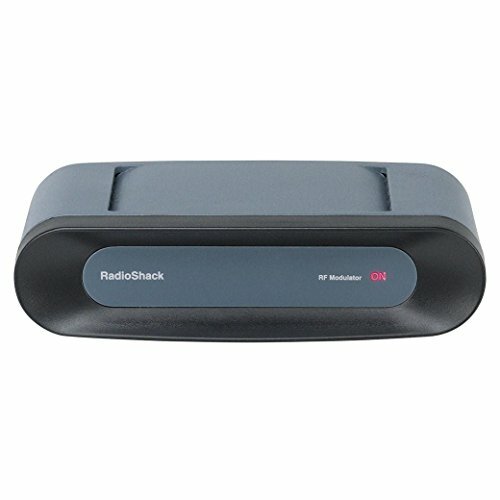 This RF modulator is designed to generate RF and TV signals from A/V sources, converting the output video and audio signals from DVD players, satellite receivers and other devices to RF signals, thus leaving no video and audio signals through the antenna TV programs that input input can also watch video programs. 1.Light shooting and different displays may cause the color of the item in the picture a little different from the real thing. 2. The measurement allowed error is +/- 1-3cm. User-friendly design, easy to install and easy to operate. The VHF / UHF operating frequency is from 47 to 868 MHz. High performance circuit design provides accurate image reproduction. With adjustable audio and video output levels. A / V output is widely used. Compatible with all local CATV systems. 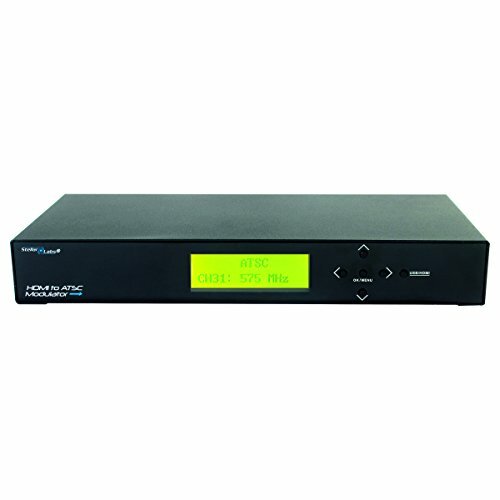 Linear's 3025 Three-input Video Distribution System with 5-volt IR accepts a CATV or antenna input, audio/video signals from two video source and modulates them to two user selected channels that can be seen at five TV locations. The modulator channels are digitally programmed. Push a channel select button to choose the desired unused TV channel and the internal microprocessor digitally sets the modulator to the exact FCC channel specification. The channel settings are retained in memory during a power failure. The Model 3025 features optional IR control of connected video sources and whole house IR integration with a built-in 5-volt IR engine. IR emitters connected to the amplifier will repeat the IR remote control signals back to the video source component. 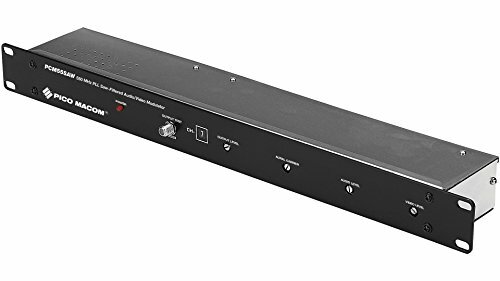 This 4K x 2K HDMI audio extractor splitter not only to meet the ideal image of the HDTV but also to meet the need for an extract audio from various HDMI source devices like Roku or Chromecast without dedicated audio output as well as Blu-ray / DVD / HD player , cable / satellite box / Amazon Fire TV / Apple TV / PS3 / PS4 ( Playstation 3/ 4 ) / Xbox / PC / laptop / HD camera / HD DVR etc.. 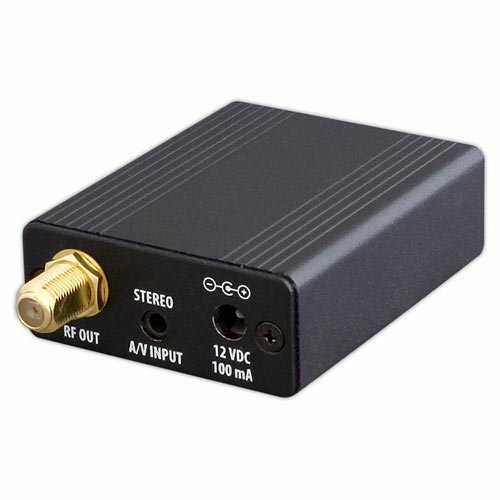 It can extract the digital audio signal embedded in HDMI source and convert it through 3.5mm analog audio output and SPDIF output at the same time . The SPDIF output both can support 2CH audio or 5.1CH audio including Dolby Digitla 5.1CH and DTS 5.1CH .Support CEC & HDCP 2.0 . 3.NOT SUPPORT copyright protected content. 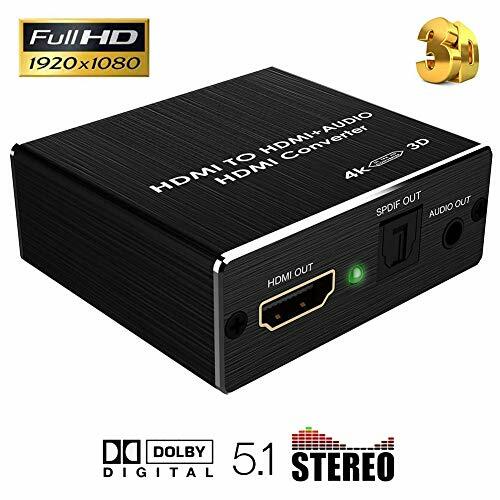 4K x 2K HDMI Audio Extractor - Not only to meet the ideal image of the HDTV but also to meet the need for an extract audio from various HDMI source devices like Roku or Chromecast without dedicated audio output as well as Blu-ray / DVD / HD player , cable / satellite box / Amazon Fire TV / Apple TV / PS3 / PS4 ( Playstation 3/ 4 ) / Xbox / PC / laptop / HD camera / HD DVR etc. 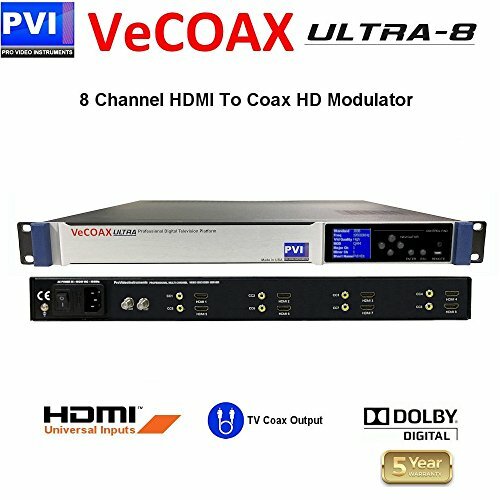 3D HDMI Audio Extractor Converter - Can extract the digital audio signal embedded in HDMI source and convert it through 3.5mm analog audio output and SPDIF output at the same time . The SPDIF output both can support 2CH audio or 5.1CH audio including Dolby Digitla 5.1CH and DTS 5.1CH . 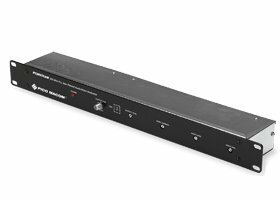 HDMI Audio Splitter - The fiber only supports Dolby and DTS , and 5.1CH / 2CH audio formats require decoding with power amplifiers . Not Support Dolby Digital Plus audio . 3.5mm audio output supports 2CH PCM stereo audio only . 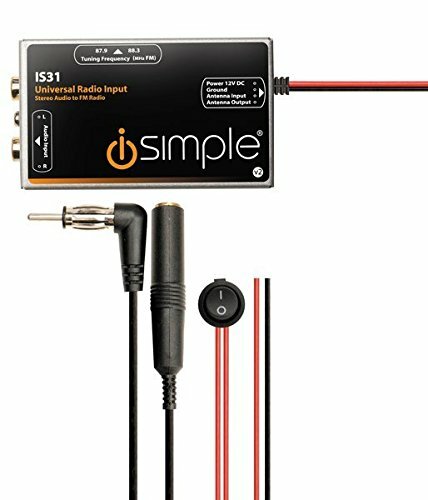 SPDIF and L/R audio support output separately to amplifier without connecting TV / Monitor . Support CEC & HDCP 2.0 . 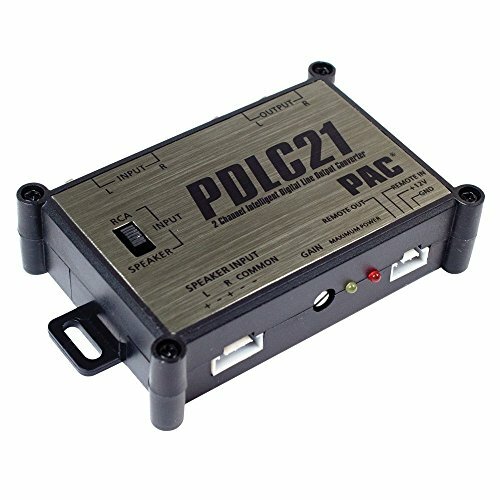 Low Power Drive Design: Plug and Play ,Can works without power adapter , Easy to use--If the device doesn't work with a low power HDMI ports, please use an adapter(5V/1A) with the USB cable ( package included ) to drive . Watch DVDs or play video games on any TV in the house! This RF Modulator converts the video and stereo audio from any A/V component, and most video game decks, into a coaxial cable output. All you do is connect your A/V component to the modulator's input jacks, then connect the modulator to your TV's antenna/cable input and select channel 3 or 4 operation. 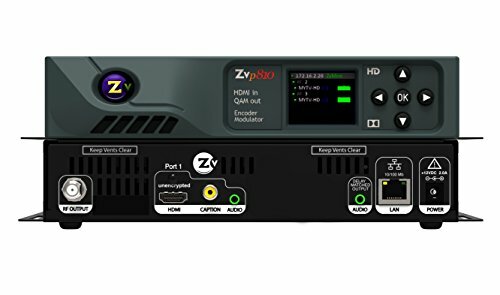 ZvPro810 delivers uncompromising digital HD video distribution over your existing coax cabling from your HDMI sources. This one channel QAM, MPEG2, Encoder/Modulator unit allows you to easily distribute content up to 1080p resolution to an unlimited number of displays, using the TV's built in QAM tuner, eliminating the need for cumbersome, expensive set-top-boxes or media players at each display. Regardless if you are moving HD content around a senior living facility, sports bar, student-housing complex, apartment building, stadium, arena or convention center, ZvPro has you covered. ZvPro units can be managed either locally through the color LCD screen on the front panel or remotely using our intuitive web based, management and control system - Maestro. All ZeeVee units support Dolby Digital audio encoding. Add information channels for free with Zv Show, a built-in media player and additional channel included in each ZvPro. With Emergency Alert System capabilities, keep your guests, residents and patrons safe. Included Closed Captioning makes your installation ADA compliant. ZvPro allows you to control power output from 25 to 45dBmV QAM output levels in 1dBmV steps. Installation is quick and easy using standard cabling, saving time and eliminating points of failure for a more robust installation. ZvPro delivers resolutions from 480i to 1080i/p, which means you're covered regardless of content resolution. If you need component or VGA connections check out the ZvPro610, ZvPro620. Brand: ZeeVee | Manufacturer: ZeeVee, Inc.